To book your hair colouring & perming appointments please call our Gravesend salon on 01474 53 44 55. 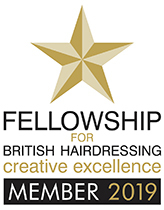 We are proud to be an appointed Goldwell colour specialist salon. We’re highly experienced in all colour techniques including colour correction. We also offer free colour consultations before every colour. Enjoy a relaxing Shiatsu massage whilst this deep repair treatment helps reconstruct your hair leaving it glossy and in fabulous condition. a luxurious mask treatment for coloured hair which contains pure natural ingredients that penetrate from roots to tips leaving your hair smooth, silky and frizz free as well as locking in your colour to prevent colour fade. A skin test is required prior to all whole head colour applications at least 24-48 hours before your first appointment or if you haven’t visited us for more than 6 months.